Bryan Logan/Business InsiderA view of Faraday Future’s planned factory site in northern Las Vegas. 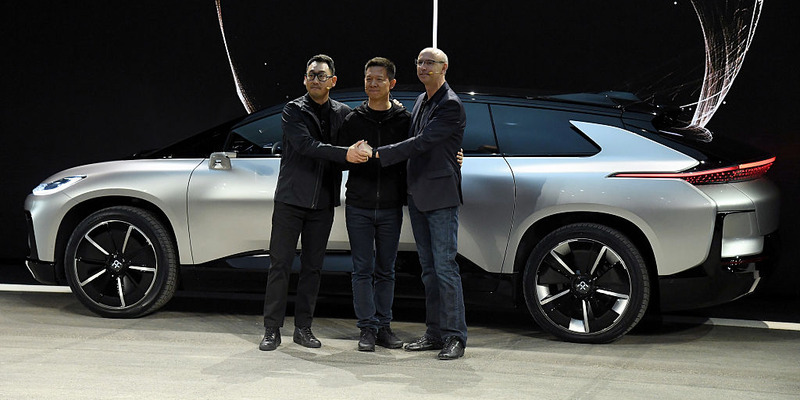 Faraday Future is scrapping plans for a 1-million-square-foot assembly plant in Nevada amid a deepening cash crunch, and it is now looking for an existing facility to build its first car, the FF91. A Chinese court reportedly froze billions of dollars in assets belonging to Faraday’s owner, Jia Yueting, who is the chairman of a Beijing electronics company that is mired in its own cash crisis. Faraday is expected to slow down operations at its Los Angeles-based headquarters, but the company says no layoffs are planned in the near term. 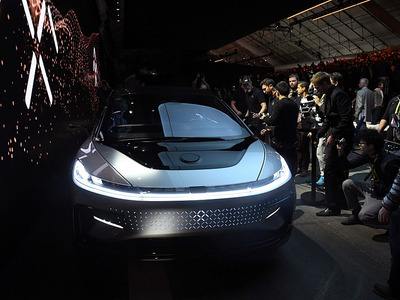 SAN FRANCISCO — Faraday Future, the California startup that set out to dethrone Tesla in the electric-car business with ambitious plans to build a self-driving, 1,000-horsepower entertainment hub on wheels, is officially in trouble. The company, at least for now, is abandoning one of its cornerstone projects, a 1-million-square-foot assembly plant in North Las Vegas, it announced on Monday. Business Insider has also learned that the company is significantly pulling back on its operations at its Los Angeles-area headquarters amid a deepening cash crunch. The developments represent a big change in Faraday’s public posture. Though reports of cash shortages and internal strife have circulated for months, the company had continued to insist that it was on track to build the Nevada plant — itself a scaled-down version of a planned 3-million-square-foot facility — and that its electric SUV was on track to hit the market by the end of 2018. Though it still doesn’t have a production-ready car, Faraday has frequently sought to grab public attention with high-profile presentations and bold claims about the capability of its technology. 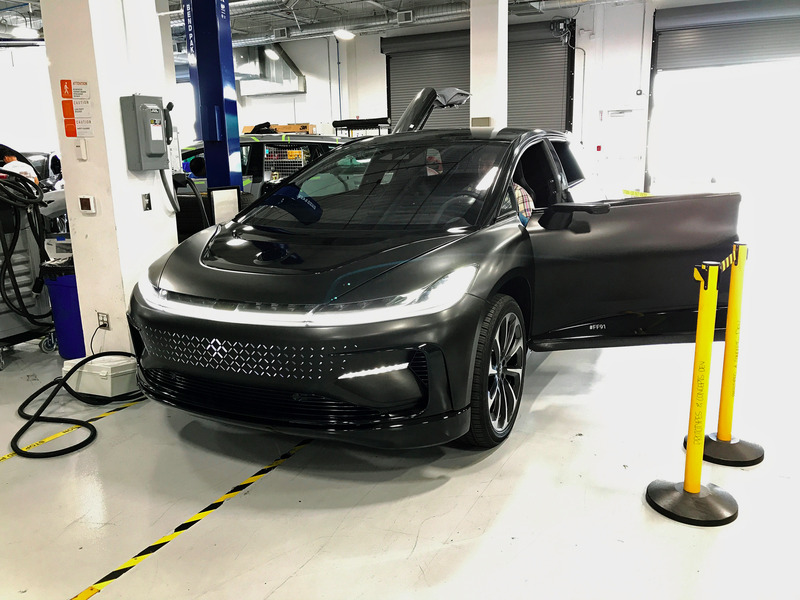 Bryan Logan/Business InsiderA Faraday Future FF91 beta vehicle. Monday’s news is an acknowledgment that things aren’t going as well as the company had hoped. It also suggests that efforts to raise new funding, to ease dependence on its Chinese billionaire backer, failed — at least for now. “We at Faraday Future are significantly shifting our business strategy to position the company as the leader in user-ship personal mobility — a vehicle usage model that reimagines the way users access mobility,” Faraday Future said Monday in a statement. “As a result of this shift in direction, we are in the process of identifying a manufacturing facility that presents a faster path to start-of-production and aligns with future strategic options. 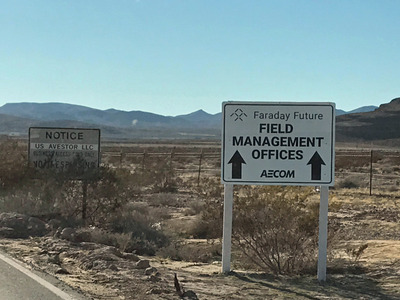 Current Faraday employees told Business Insider the company would search for an existing facility in either California or Nevada rather than build its own factory at the North Las Vegas site, which they said would require $US80 million to $US100 million the company did not have. Day-to-day operations at Faraday’s Gardena, California, headquarters will continue, but these people said some belt-tightening was required. No layoffs are planned in the near term, but a dearth of financial resources means the development of the company’s FF91 electric SUV is expected to slow down as well. Faraday relies heavily on its owner, Jia Yueting, the founder of the Beijing-based tech giant LeEco, which is having cash-flow problems of its own. Unpaid loans recently prompted a Chinese court to freeze $US182 million in assets tied to Jia, his wife, and several affiliates, according to reports in The New York Times and Xinhua. Courts also imposed a three-year freeze on Jia’s roughly $US2.3 billion stake in a publicly listed arm of his empire, Leshi Internet Information & Technology. Trading in Leshi was suspended in April for a restructuring review — one of several suspensions for the stock in the past 12 months. Faraday’s recently hired chief financial officer, Stefan Krause, had set out to corral new investors for Faraday in recent weeks to stave off fallout from Jia’s cash crisis. Krause told Business Insider in a May interview that he had hoped to round up $US1 billion in a series A round of funding. His worldwide blitz took him to the Middle East, London, Germany, China, and back to the US to speak with roughly 35 investors — mostly private individuals — to fund a two-year plan designed to get Faraday’s factory off the ground and move the FF91 closer to production. Faraday employees with knowledge of the talks told Business Insider the endeavour was unsuccessful because of the uncertainty surrounding Jia and LeEco. Ethan Miller/Getty ImagesJia with Faraday Future’s vice president of design, Richard Kim, and senior vice president of research and development and engineering, Nick Sampson. Jia, who goes by the nickname YT, has personally backed Faraday since the company was founded in 2014, but the blows the billionaire’s financial portfolio has taken in the past year have created problems throughout his sprawling empire. LeEco sought to expand rapidly in the US last year, opening new offices in San Jose, California, with plans for a larger campus to be built on some 50 acres the company bought from Yahoo. LeEco also planned to buy the TV-maker Vizio for $US2 billion. Separately, Faraday bought 900 acres of land in North Las Vegas for its inaugural factory and made deals with the San Francisco Bay Area city of Vallejo to secure property for a second facility. All of those plans were canceled. LeEco sold off the Yahoo property less than a year after the purchase, laid off 70% of its US workforce, and dropped the $US2 billion Vizio deal. 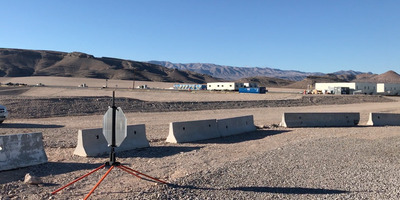 Construction was halted at Faraday’s North Las Vegas site before any foundation was laid, and suppliers began suing Faraday over unpaid bills. 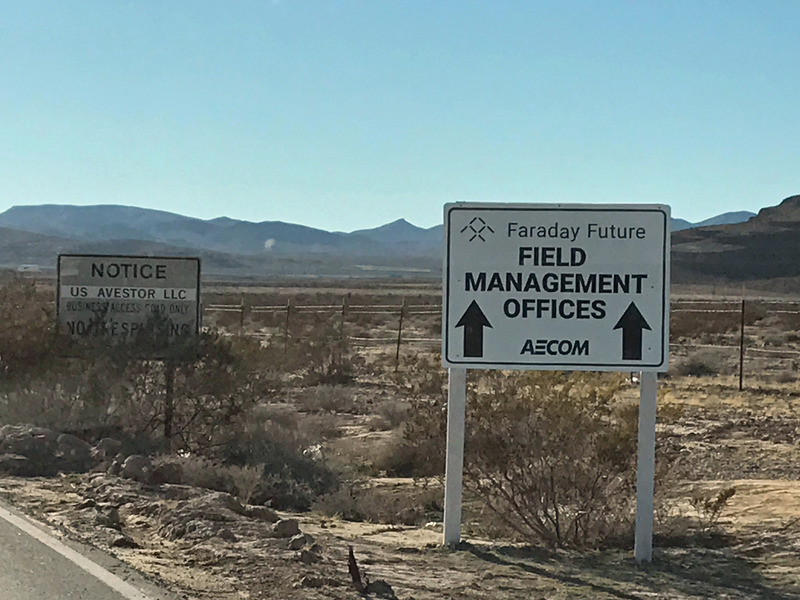 Bryan Logan/Business InsiderThe planned Faraday Future factory site in Las Vegas seen January 15. More than $US2 billion in fresh investment from a Chinese real-estate business late last year did little to slow LeEco’s bleeding, and several high-profile executives left Faraday in a hurry. A handful of Faraday’s suppliers sued the company for millions, claiming they were not paid. And creditors occupied LeEco’s Beijing offices for a week in June, demanding payment. Jia acknowledged last fall that LeEco expanded too quickly and required more cash than the company anticipated. Jia wrote a public plea for leniency on China’s biggest social-media site, Weibo, last week, promising to repay his debts while also saying he would throw all of his energy into his electric-car business. “Please give LeEco some time, please give LeEco car some time,” Jia wrote. “We will pay back creditors, suppliers and any other debts.” Jia told stakeholders that his empire’s financial troubles were “more severe than we expected” and said the company “made some mistakes” in allocating its funds. He promised to dive headfirst into the car business with Faraday Future, but critics have said the capital-intensive endeavour is what caused his troubles. Ethan Miller/Getty ImagesThe Faraday Future FF91 after it was unveiled during a press event for CES 2017 in Las Vegas on January 3. Krause said Faraday would search for an existing facility to build its FF91 self-driving cars once they were ready for production. For the Deutsche Bank and BMW veteran, the rationale is straightforward: An operational factory is the key to new investor cash. “Some of them would like to see a factory and would like to see us moving a little bit further down the road,” Krause told Business Insider in a phone interview last week. 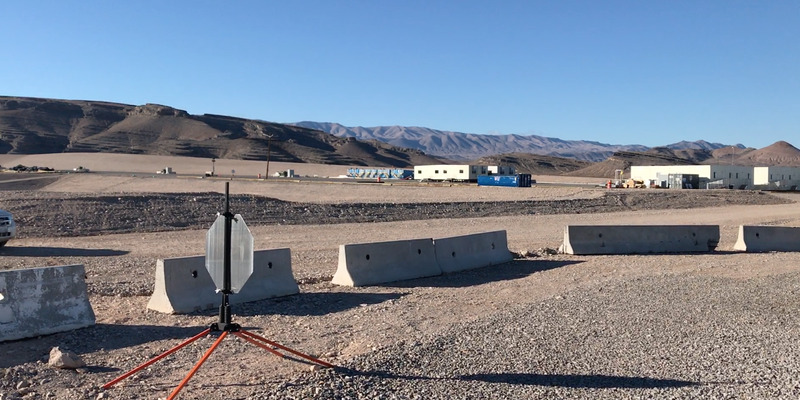 “We will secure an existing facility that we can lease or buy at a low cost and then bring in our equipment and be faster to market with the FF91,” Krause said, adding that Faraday had already purchased some of the equipment for the factory that was planned for North Las Vegas. But the startup still faces a dire outlook in the short term. The company is slowing down development of the FF91, which has been undergoing beta testing for months. Faraday has sought to keep some positive buzz going, participating last month in the Pikes Peak International Hill Climb, where it beat a Tesla Model S P90D in a 12-mile high-altitude race in Colorado Springs, Colorado. Still, publicity stunts have done little to deflect the real concern that Faraday’s days may be numbered. The company says that, while it no longer has access to generous funding through Jia, it is still able to cover payroll for its roughly 1,000 employees. Faraday executives declined to clarify what the company spent to maintain staffing and routine operations. Exhibiting the same kind of dogged determination of its owner, Faraday Future insists it will push forward. Jia has other financial holdings in the US, including some real estate, which could be liquidated for cash. And the acreage Faraday owns in North Las Vegas could also be sold to replenish its reserves. It is unclear how long Faraday can hobble into the future with its visions of immersive self-driving, electric transport, but, at least for now, the company remains intent to fight a while longer.